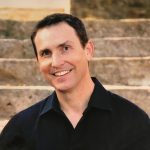 With 27 years of daily sales experience, and nine years running business and professional development training programs, author and entrepreneur, Mark Garbelotto is Australia’s premier business, leadership and sales training professional. He is also founder and CEO of one Australia’s handful of dedicated professional leadership and business development institutes, the Australian Academy of Sales. An interior designer by profession, Mark began his sales career with a lighting manufacturer in the middle of the early 1990’s recession. Learning sales techniques the hard way, he went on to run his own interior design and construction business, generating millions of dollars in sales over 13 years. By October 2007, he had formed his own professional development business, Wealth Empowerment Institute, which became the Australian Academy of Sales (AAS) in 2011. Chandler Barron, is the founder of Sales Paradise™. Helping sales reps and companies increase sales, he's helped companies gain over $3 Billion in additional revenue. When not helping increase sales, you can find Chandler with his family, or playing the acoustic guitar pretending to be cool.